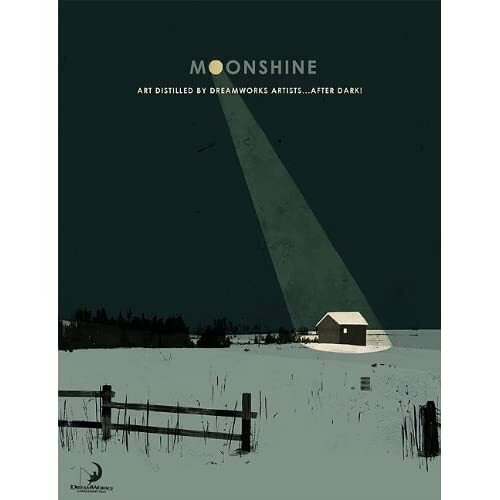 We've just had a lunar eclipse not too long ago, and it just happened that I chanced upon a book titled "Moonshine". It even has a blog on the project. Just click here. The range of mediums and subjects covered within this book is wide, and so are the styles of the works. Now, I must say, I don't remember Artists by their names when I see their works unless I've read a book written by them. The reason being, is that when I go to an Art competition, I view the works, and not the Artist. Likewise, if I pick up a book with a range of Artists' works in it, my reason for choosing the book is to see a wide range of styles and mediums. Thus, I'm not too concerned with whom the Artist is. I'm more interested in the content of the paintings/drawings, the colors used within each Art piece, the composition, what I think the Artist could have improved on... etc. With books like these, I want inspiration, I want "wow", I want brilliant. Thus, I might not know each individual Artist within this book, but I love the Art within the book because they work for me. Some Art works might "work" for me more than others. The book itself has a good layout. With a range of different subjects, from characters, to landscapes, to design base pieces. Also, there is an Artist index at the back of the book that gives you the Artists' websites. If you were wondering which Artists were within this book, this blog has a list on the Artists that are included in the book, plus a video on what is inside the book.